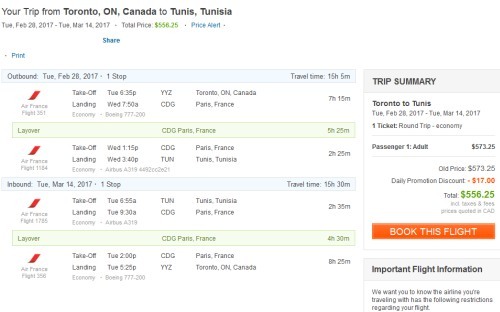 KLM and Air France dropped their prices from Toronto to virtually everywhere they fly in Europe, Tunisia, and Morocco down into the $500s roundtrip including taxes today. Non-stop flights from Toronto to Dublin, Ireland for $425 CAD roundtrip including taxes are available in late August and September 2016. With the Flight Centre promo, it should be possible to book these flights for $325. Non-stop flights from Toronto to Istanbul, Turkey for $501 CAD roundtrip including taxes are available from late September 2016 through to April 2017. With the Flight Centre promo, it should be possible to book these flights for $401. Non-stop flights from Toronto to Copenhagen, Denmark for $517 CAD roundtrip including taxes are available from late August 2016 through to March 2017. With the Flight Centre promo, it should be possible to book these flights for $417. Air Canada has dropped their non-stop flights from Toronto to London (LHR), England down to $544 CAD roundtrip including taxes in September and October 2016. With the Flight Centre promo, it should be possible to book these flights for $444. Non-stop flights from Toronto to Amsterdam, Netherlands for $546 CAD roundtrip including taxes are available in September, October, November, and December 2016. And January to March 2017. With the Flight Centre promo, it should be possible to book these flights for $446. Non-stop flights from Toronto to Paris, France for $588 CAD roundtrip including taxes are available in late August, September and early October 2016. With the Flight Centre promo, it should be possible to book these flights for $488. 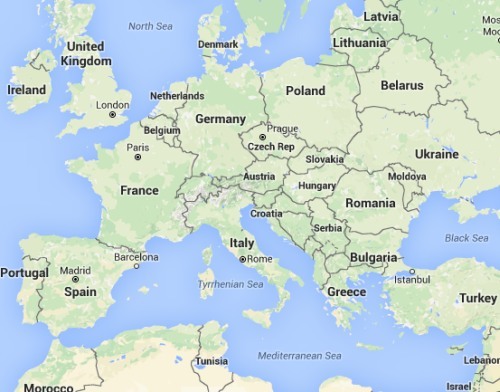 2 trips to 2 continents for under $1000, well done!